As part of their refresh to the Supreme line of goalie gear, this spring Bauer Hockey will introduce the new Bauer Supreme S29 goalie pads. 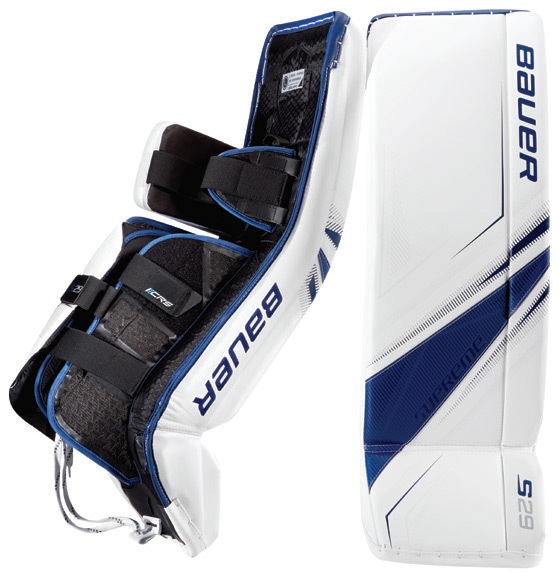 The Bauer Supreme S29 goalie pads will be a performance level leg pads. 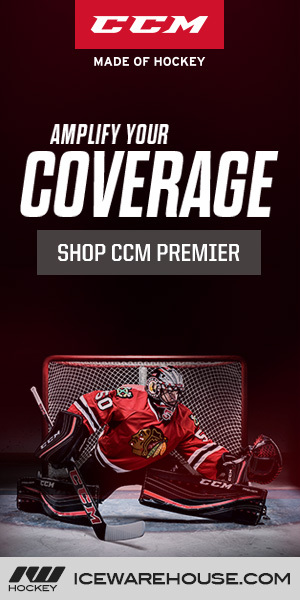 These pads are made using high-quality materials and will be suitable for any goaltender looking to get incredible performance out of their equipment, but doesn’t necessarily want to shell out the money for the top of the line equipment. Some of the key upgrades for the Bauer Supreme S29 goalie pads include Pro HD foam insert, C.O.R.TECH calf and knee plate, a 10% reduction in overall weight versus the previous model (S190), and a removable knee wing. For a full understanding of the pads, let’s dive right into all of the features and technology. The core of the Bauer Supreme S29 goalie pads is constructed using high-density foam. There is a single internal break featured below the knee, while the knee landing offers a new flat construction. Surrounding the HD foam core is a synthetic leather front face with C.O.R.TECH calf and knee plates offering lightweight protection in the back. The leg channel will include Vent Armor foam calf wraps with a custom rotation system (CRS) strapping setup to keep things locked down. Rounding things out, the boot flex on the Bauer Supreme S29 goalie pads will be stiff while the toe will be off-set. The Bauer Supreme S29 goalie pads will be available in senior sizes XS through XL, while intermediate sizing will be XS – L. Colors available include to stock color of white/white along with the optional colors of white/red, white/navy, white/black, white/blue. Bauer will launch the Supreme S29 goalie pads this spring. 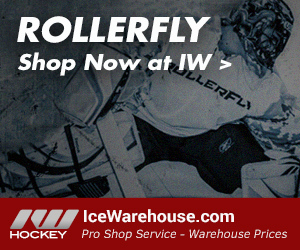 When they launch, be sure to head over to IceWarehouse.com to pick yours up and receive free shipping on your order!